SIMPLY stunning. 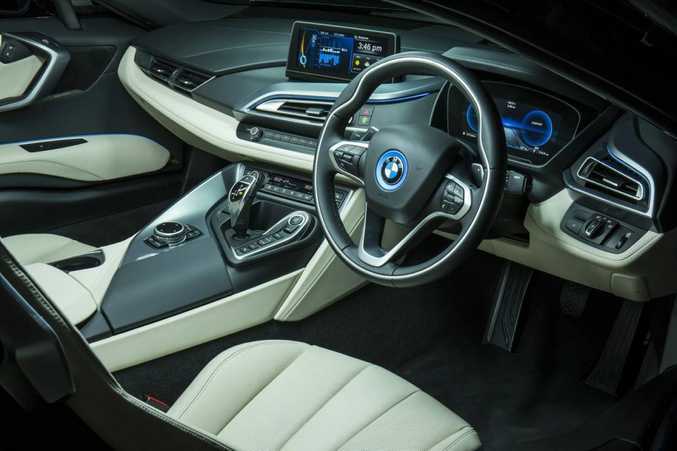 The BMW i8 is an amazing car in so many ways, and the beauty is more than skin deep. 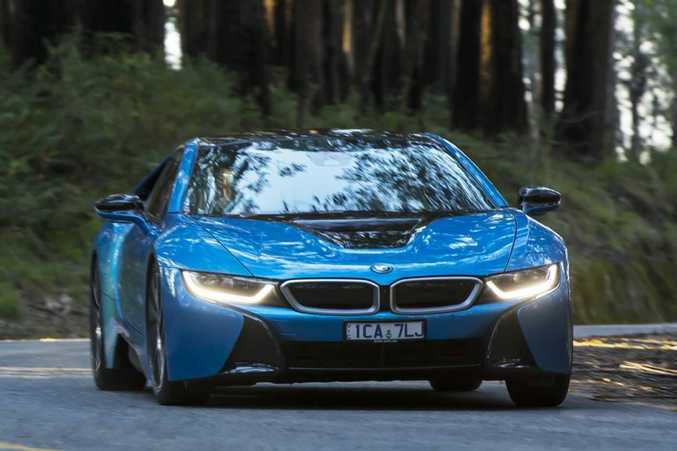 Walking the line between green and mean, it garners respect from rev heads and tech boffins. The plug-in hybrid drivetrain has the goods to out sprint its BMW performance M3/M4 siblings, yet it sips on average just 2.1 litres for every 100km. Our quick spin of the $300,000 sought-after sports car was all too brief, yet remarkably engaging. 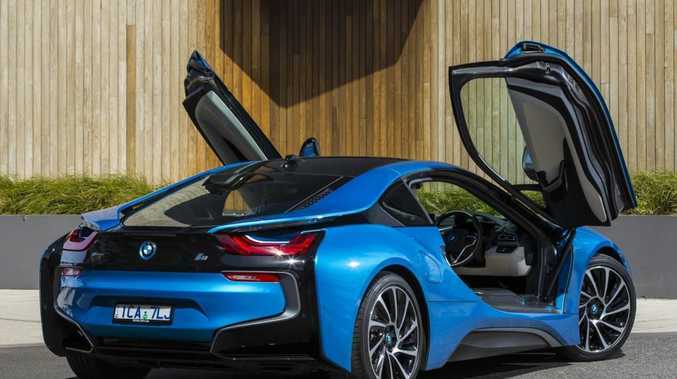 Don't expect the i8 to roar into action from start-up. Like many hybrids, the dash with two colour screens comes alive when you hit the ignition button - but you're met with silence. Eerily quiet as you gain speed there are several driving modes at the pilot's discretion. E-drive is pure electric mode which is perfect for inner city cruising and can travel about 35km without sipping an ounce of fuel (you can travel at speeds of up to 120km but expect it to drain the power quicker). But this is a supercar, and by flicking the gear-lever to the left you can unbridle the horses. With the petrol engine pushing the rear wheels and the electric motors firing the front, it's quick. But not neck-snappingly so … by Lamborghini Gallardo or a Ferrari 458 standards, anyway. The suspension tune is actually surprisingly compliant and there isn't the raw bone-rattling ride associated with many supercars. One thing that fits the supercar bill is the entry and exit. Low, negotiating the swan-wing openings can be a challenge. A wide sill means to have to slide your rear end over into the seat and then reach up to pull down the door. They're not powered, but are lightweight though and are easy to open and close - just make sure you allow about half a metre laterally for them to spread their wings when parking. Charging can be done at home, and a full charge with your standard plug takes about three hours. Halve that with a 16-amp plug. And it's not all looks with no substance. The seating is 2+2, and while space is limited with near vertical seat-backs it is possible to use them. Boot space is confined although enough for a couple of bags. Details: Four-seat all-wheel drive plug-in hybrid supercar. Performance: 0-100kmh in 4.4 seconds.